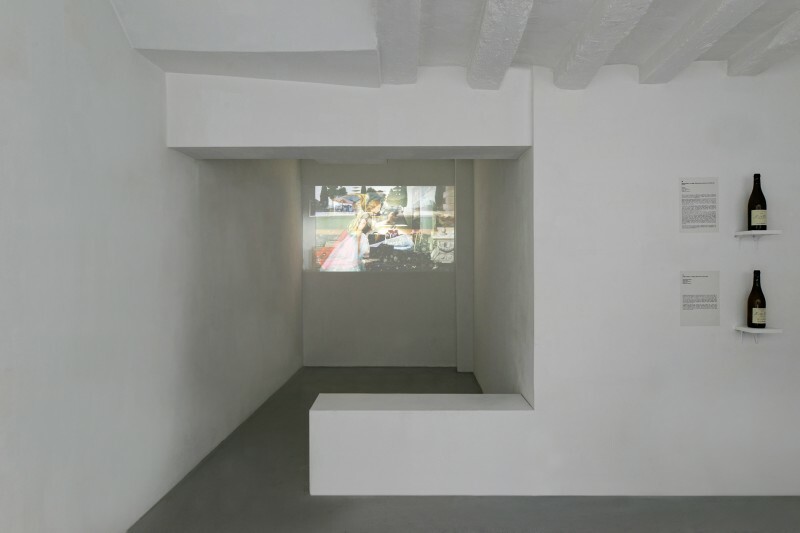 In States of Grace, video sublimates the relations between cinema and paintings. 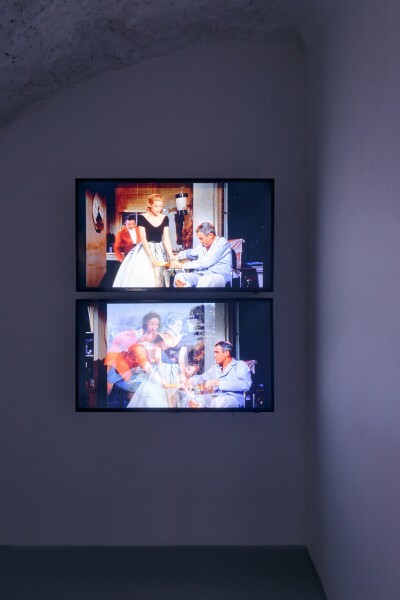 If Laurent Fiévet sends an exquisite and extreme slow motion thrill over some shots from Rear Window by Alfred Hitchcock, his purpose is to reveal, how this film is possessed by the aesthetics of Leonardo da Vinci through overlays(1) (Hitchcock would have taken inspiration from the paintings that Fiévet pastes onto the movie). Thus we see Grace Kelly through da Vinci. Neither cinema nor painting comes out unscathed. How might the movement of film images coexist with the stillness of a painting? 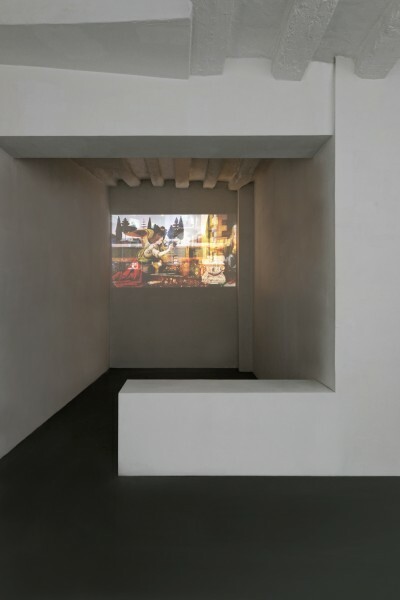 How does this impossibility represent all the challenge and the lure of this proposal, its radicalism, and the evidence of its assertions involving the identity of film and painting? Leonardo da Vinci’s painting was precisely, at heart, painting about movement, because da Vinci the painter and scientist was primarily interested in the flow of appearances, seeking to represent movements of the soul through movements of the body and thus reveal the blending of shadow and movement through the famous “Leonardo «sfumato(2)». 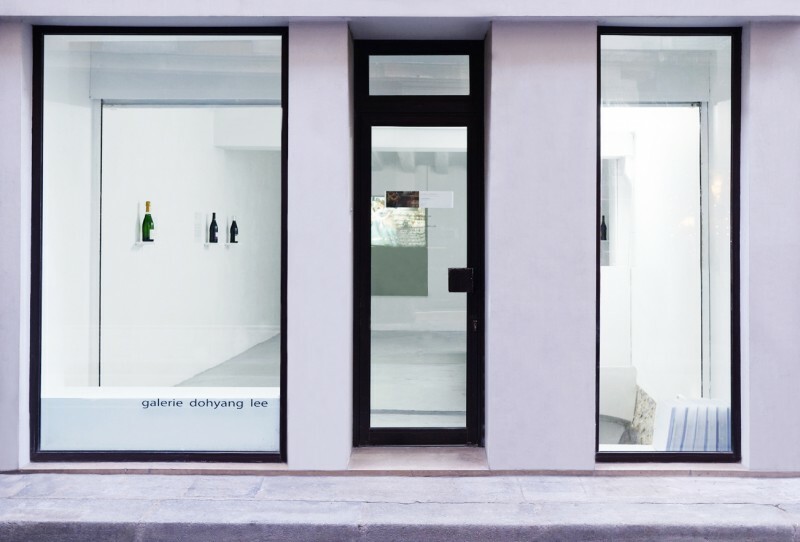 Beyond painting and film, something else emerges on the surface of the images, duplications, decenterings, twists, distortions and disfigurements. 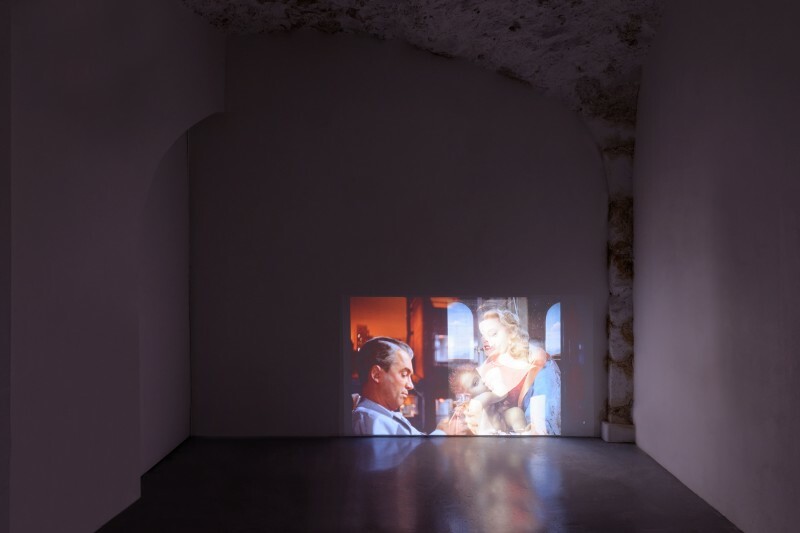 The encounter between the da Vinci paintings(3) and the faces of Grace Kelly and James Stewart means that the figures are perverted, they are twisted to become not pure sensation, like Francis Bacon, but liquidity and monstruosity of emotion, of the soul – of desire. 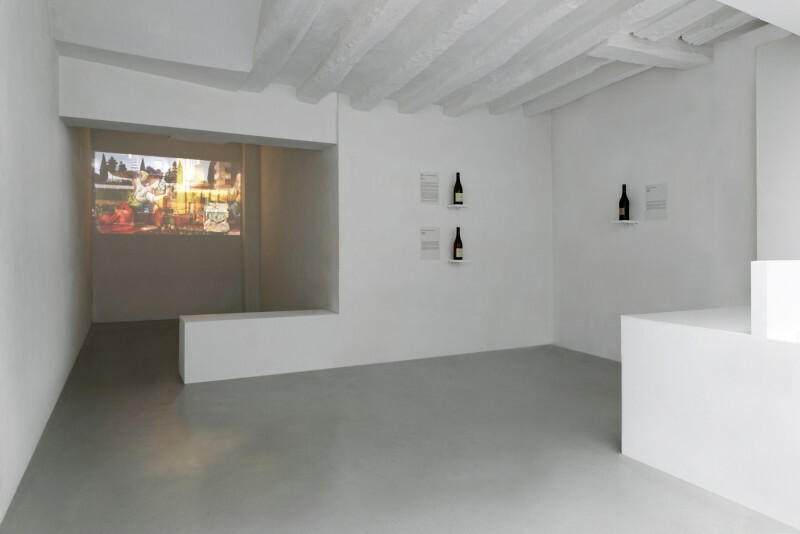 Laurent Fiévet established a ritual with a wine expert that is invited to choose a different wine for each vidéo – the choice could be based on synaesthesia, history or esthetic. In Hitchcock’s film the action of the characters have a constant relation to wine that give them fine figure, lightness, density. 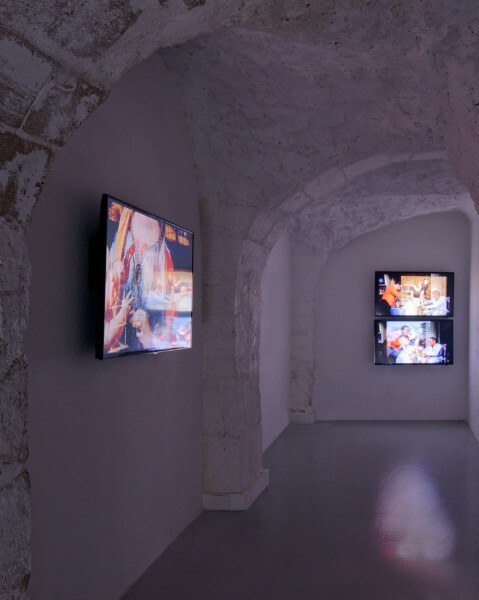 During the opening, the visitor will first have a taste experience, as a background to enter in the images, as a gustatory experience of the tone of the video, of its structure, as a editing of images and body. (1). States of Grace belongs to a serie where Fiévet has already confronted details of Velazquez’s Meninas and Vertigo’s sequences (in Carlotta’s way and Returning Carlotta’s way). (2). Daniel Arasse, Léonard de Vinci, Hazan, 1997-2011, p.309. (3). The Annunciation in the Uffizi Gallery in Florence, Madonna Litta, in the Hermitage Museum, The Madonna of the Carnation in the Alte Pinakothek gallery in Munich, The Virgin and Child and St Ann in Musée du Louvre, The Virgin of the Rocks and The Burlington House Cartoon in the National Gallery. 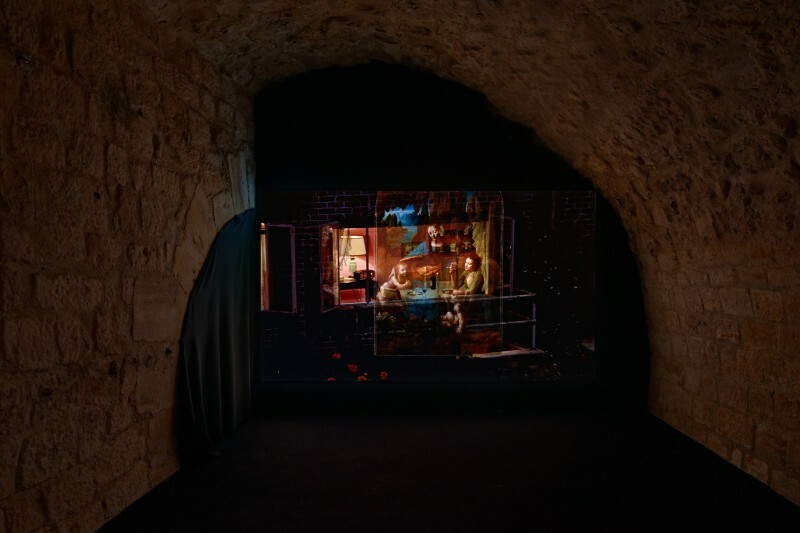 Laurent Fiévet, STATES OF GRACE 1 – ANNUNCIATION, 2015, HD video montage, color, sound, 35’46″, vin associé, édition de 5 + 2 EA. (Protocole) SAINT – VERAN, Bourgogne, White et POUILLY – FUISSÉ ESPRIT MINÉRAL, Bourgogne, White. 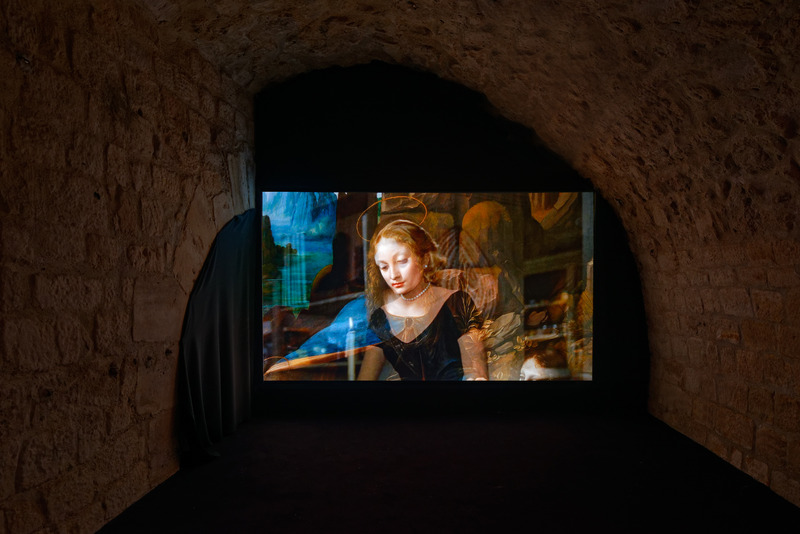 Laurent Fiévet, STATES OF GRACE 1 – ANNUNCIATION, 2015, HD video montage, color, sound, 35’46″, assorted wine, edition of 5 + 2 AP. (Protocole) RASTEAU, Vallée du Rhône, Red et L’ORPHÉE, Languedoc-Roussillon, Red et SAINT – VERAN, Bourgogne, Whitec et POUILLY – FUISSÉ ESPRIT MINÉRAL, Bourgogne, White. 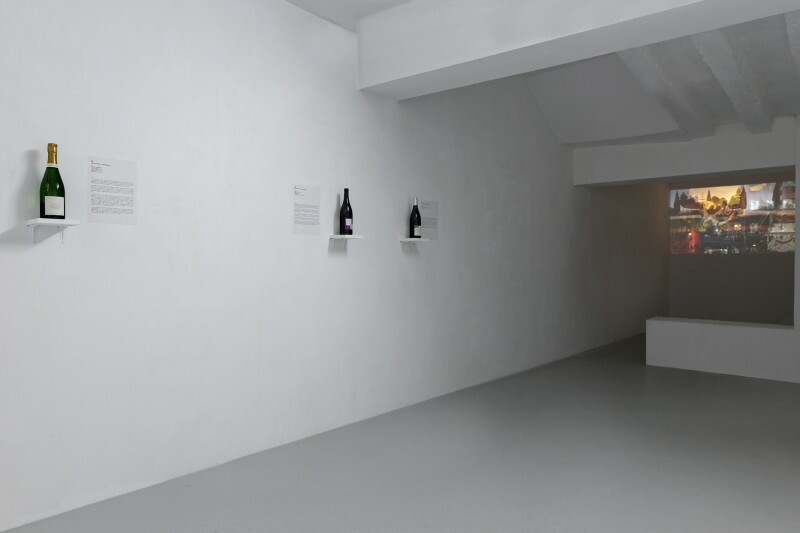 (Protocole) SAINT – VERAN, Bourgogne, White et POUILLY – FUISSÉ ESPRIT MINÉRAL, Bourgogne, White et JEREZ AMONTILLADO, Espagne, White. (Protocole) LES VIGNES DE MONTGUEUX, Champagne, White et RASTEAU, Vallée du Rhône, Red et L’ORPHÉE, Languedoc-Roussillon, Red. 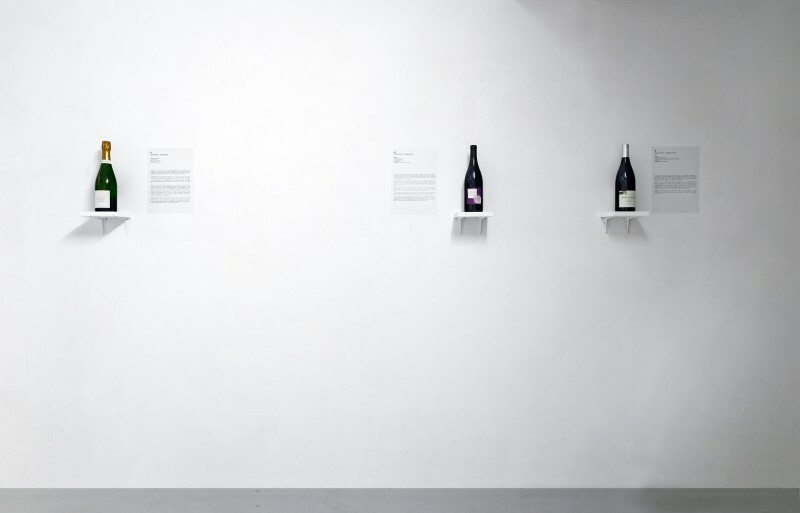 Laurent Fiévet, STATES OF GRACE 2 – MADONNA LITTA, 2015, HD video montage, color, sound, 22’, assorted wine, edition of 5 + 2 AP et STATES OF GRACE 3 – MADONNA OF THE CARNATION, 2015, HD video montage, color, sound, 24’27″, assorted wine, edition of 5 + 2 AP. 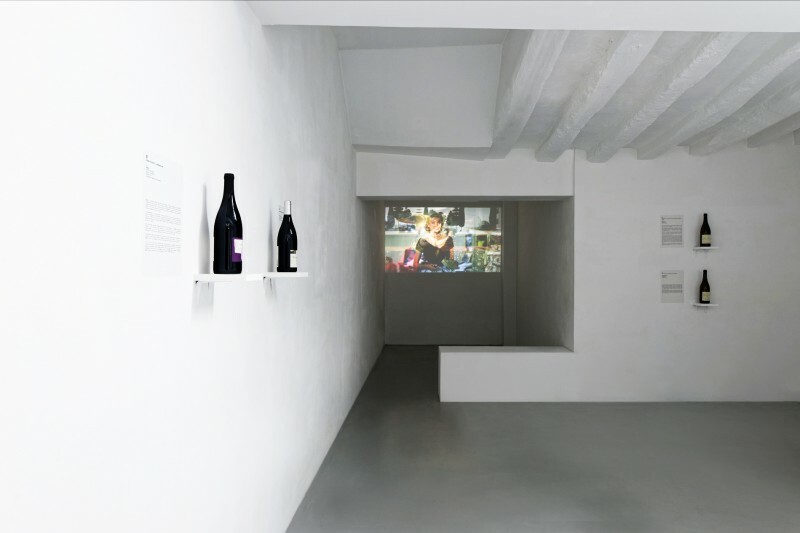 Laurent Fiévet, STATES OF GRACE 2 – MADONNA LITTA, 2015, HD video montage, color, sound, 22’, assorted wine, edition of 5 + 2 AP. 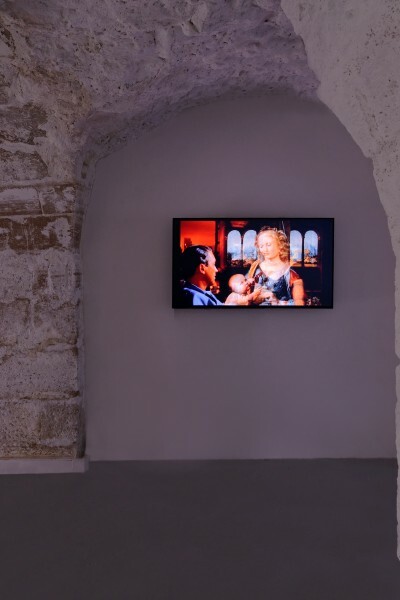 Laurent Fiévet, STATES OF GRACE 3 – MADONNA OF THE CARNATION, 2015, HD video montage, color, sound, 24’27″, assorted wine, edition of 5 + 2 AP. 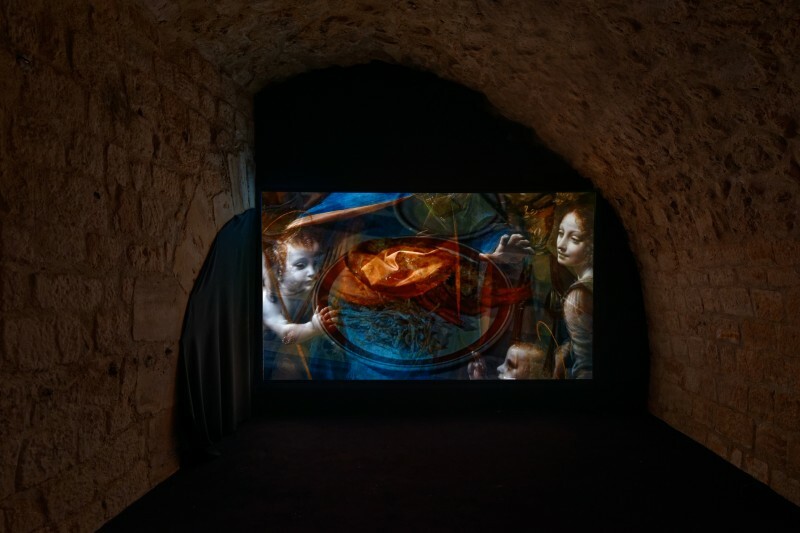 Laurent Fiévet, STATES OF GRACE 3 – MADONNA OF THE CARNATION, 2015, HD video montage, color, sound, 24’27″, assorted wine, edition of 5 + 2 AP et STATES OF GRACE 4 – THE VIRGIN AND CHILD WITH ST ANNE AND ST JOHN THE BAPTIST, 2015, HD video montage, color, sound, 16’14″, assorted wine, edition of 5 + 2 AP et STATES OF GRACE 5 – THE VIRGIN AND CHILD WITH ST. ANNE, 2015, HD video montage, color, sound, 21’01″, assorted wine, edition of 5 + 2 AP. 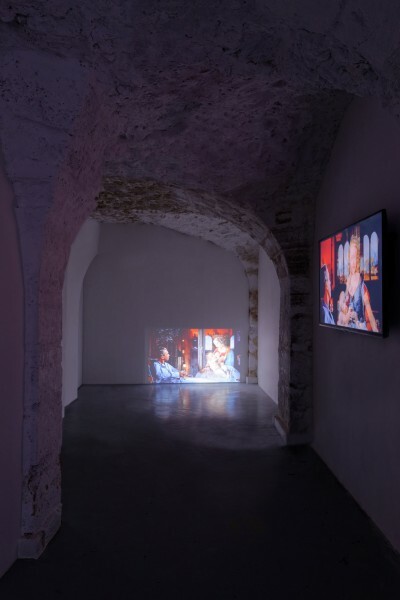 Laurent Fiévet, STATES OF GRACE 4 – THE VIRGIN AND CHILD WITH ST ANNE AND ST JOHN THE BAPTIST, 2015, HD video montage, color, sound, 16’14″, assorted wine, edition of 5 + 2 AP et STATES OF GRACE 5 – THE VIRGIN AND CHILD WITH ST. ANNE, 2015, HD video montage, color, sound, 21’01″, assorted wine, edition of 5 + 2 AP.